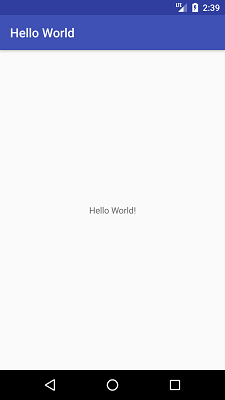 Let?s develop a first hello word application on Android studio using Kotlin programming language. 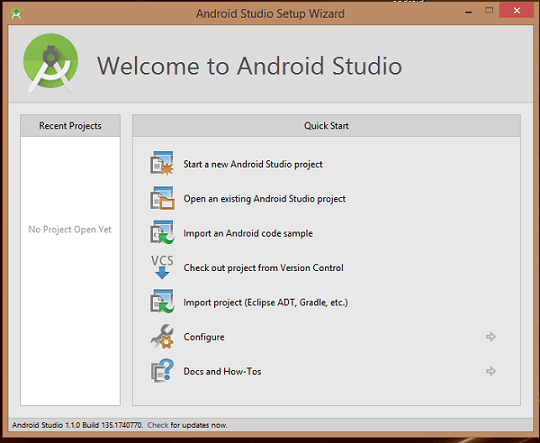 To develop android application launch Android Studio and select option 'Start a new Android Studio project'. 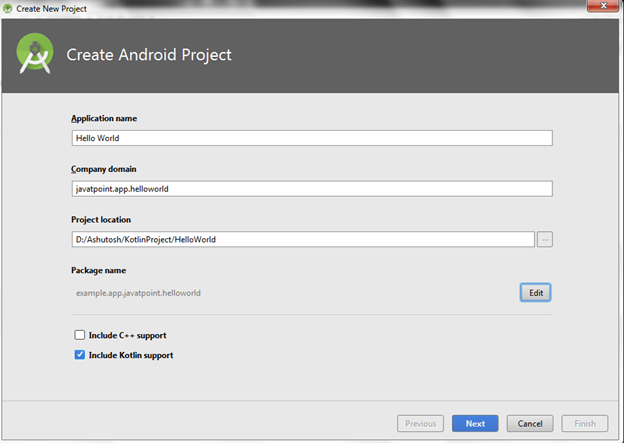 Provide a application name ('Hello World' in my case) and check 'Include Kotlin support' and proceed. 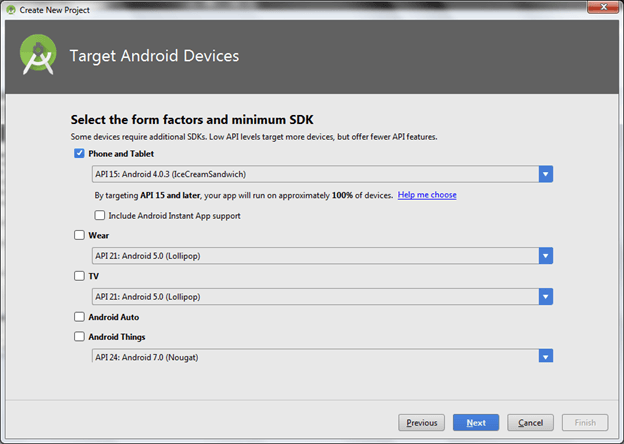 Select API level for android application and click next. 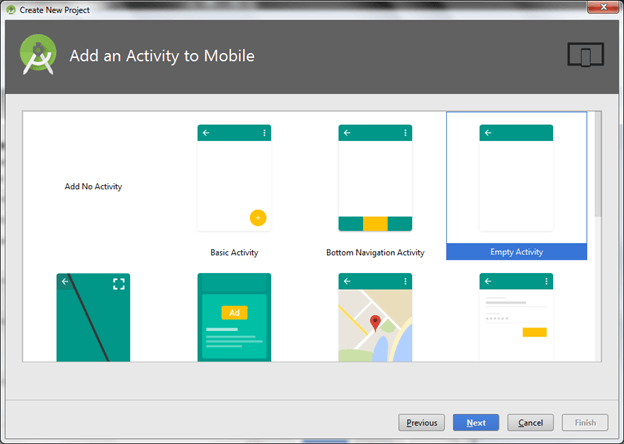 Select Activity type and click next. Create an activity_main.xml file in layout folder and add the following code. 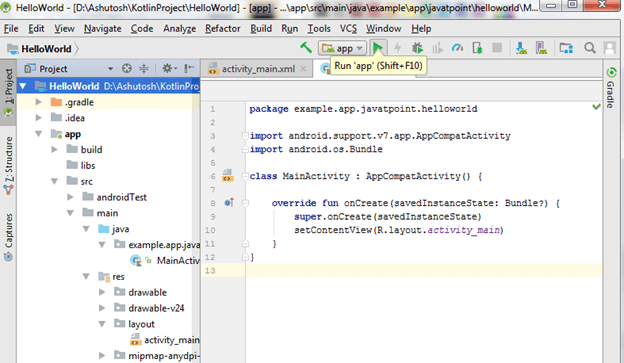 Create MainActivity.kt file in example.app.javatpoint.helloworld package add the following code.